1. Be supportive. Chess tournaments often take the entire day and your child will very likely be physically and mentally exhausted at the end of it. Try to keep your own feelings in check and to emphasize the importance of good sportsmanship. If you are feeling stressed, your anxiety will rub off on your child and he or she will be negatively affected. Especially for your first tournament, the focus should not be on winning but on making it through every round of the tournament. Chess is a process. Whether you win or lose, you should do your best and try to have fun. 2. Set attainable goals. Be sure to keep your child’s expectations for the day realistic and to offer lots of gentle support and encouragement. You might want to talk to the coach about what small, attainable goals you can set with your child. For example, remembering to check for possible captures and checks before each move. Remind your child to take their time and consider every possible move before they make their own move. 3. Have the correct gear. Usually you need your own chess set and chess clock. They can be bought inexpensively from this website https://www.wholesalechess.com Ask your coach about any other items you should bring. Pack a bag with healthy, low-sugar snacks for your child. It is possible that tournament rounds will run back to back so you may end up eating lunch late. Finally, bring a book to pass the time – there can be a lot of waiting around. 4. Get a good night’s sleep. Make sure your child gets to bed on time the night before the tournament. This needs little explanation – your child’s temperament will be more even and he or she will be better able to deal with any stresses during the day. Your child will also feel sharper, more attentive and better able to focus. 5. Review the rules. For beginners, it might be a good idea to go over castling, en passant and stalemate. It’s also important to understand tournament etiquette and technical tournament rules. For example, beginners may struggle with the touch-move rule (once you’ve touched a piece, you must move it). Encourage your child to raise their hand and consult a tournament director if any questions or uncertainties arise during a game. 6. Practice tactics before the tournament to warm up. 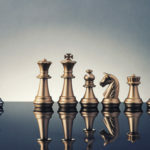 Review chess fundamentals such as the importance of controlling the center, developing their pieces and castling the king. Practicing calculation, and spotting checks, captures and threats will help to keep your child sharp during tournament play. Just twenty minutes before the tournament will get your child in a chess frame of mind and help them to feel more confident. 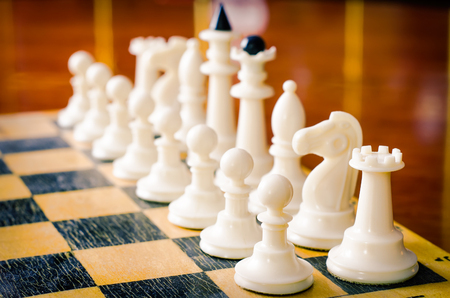 Get started and book your child’s first Chess Tournament on ClassEnroll!